I don’t know about you, but I can’t seem to keep water bottles and cans under control around my house or in my car. Empty and half-full cans and bottles seem to be everywhere except in the recycle bin. I swear they pop up like Tribbles on the USS Enterprise. And they’re starting to make me feel guilty. 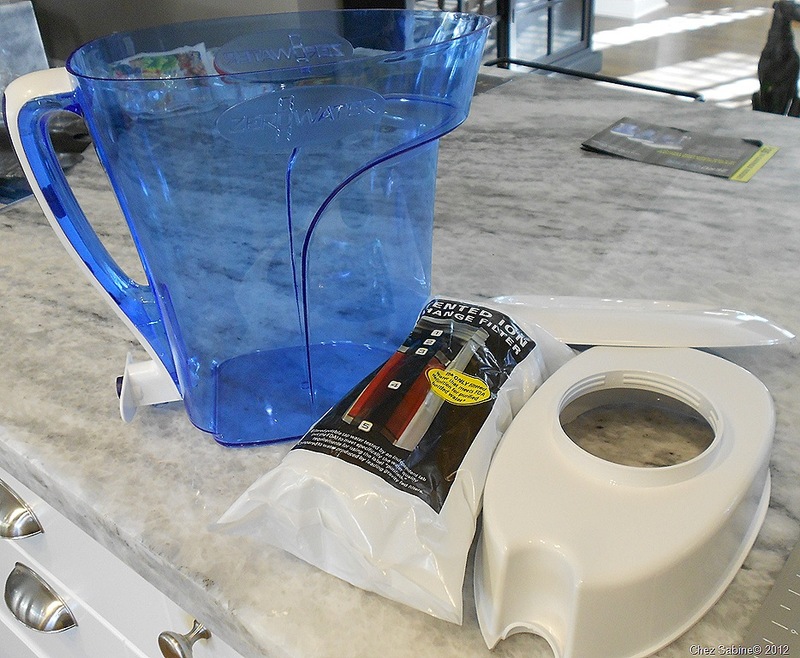 So, when the ZeroWater Filter Pitcher landed on my front step one day, I gave it a whirl. 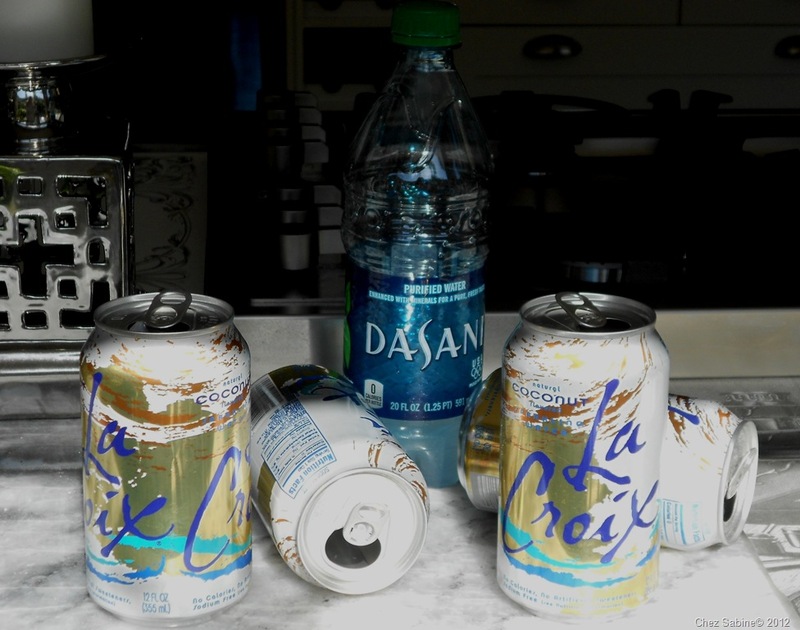 Now, I’m not going to give up my La Croix, but I’m open to using filtered water instead of bottled. Here’s what I found with ZeroWater. 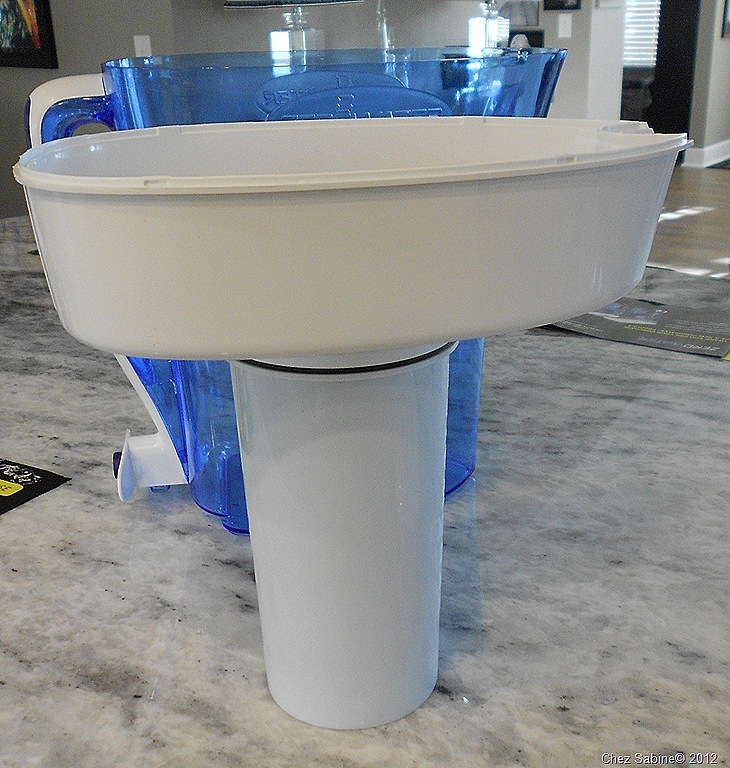 ZeroWater 10-Cup Filter Pitcher, $34.99, available at Target, Bed Bath & Beyond, Fry’s and amazon. A set of two replacement filters sells for about $30. First look: This is a fairly large pitcher with a slim design. 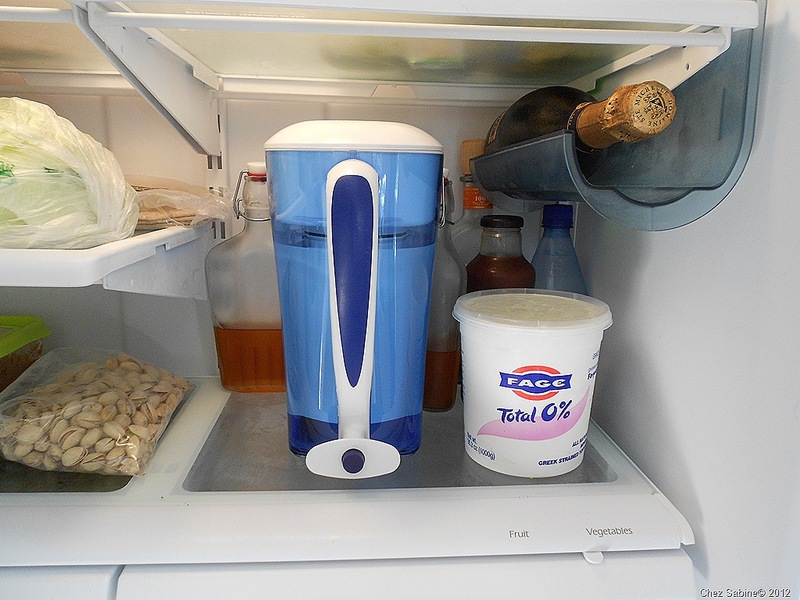 It’s clear blue with white accents on the handle and a white plastic reservoir. 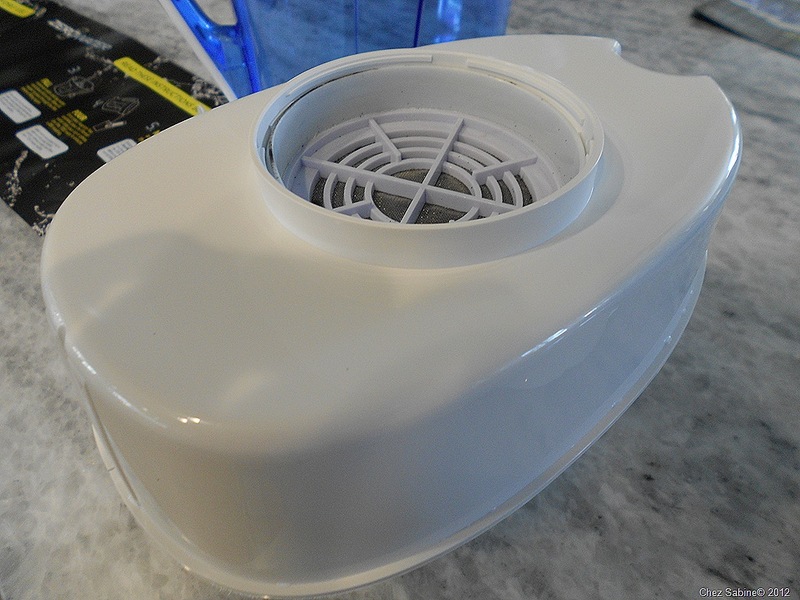 It also features a bottle filler spout. According to the manufacturer, the recyclable filter’s Ion Exchange System is designed with five combined technologies to remove virtually all dissolved solids. And the “000” TDS (total dissolved solids) reading meets the FDA definition for purified bottled water for dissolved solids. 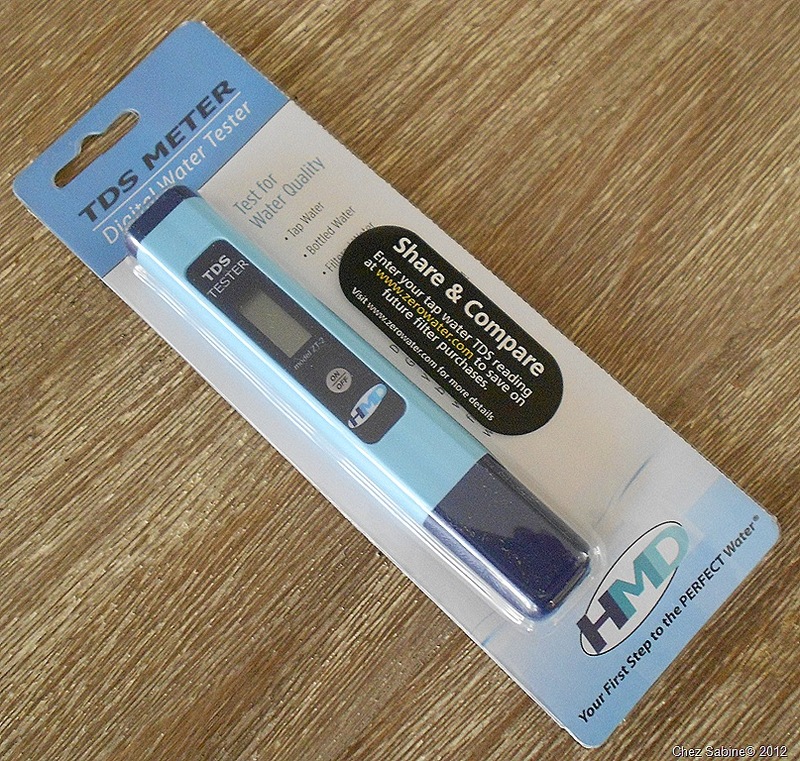 The pitcher comes with a digital TDS tester pen that snaps in place on top of the lid. Test the water periodically, and when the meter on the pen reaches “006,” it’s time to change out the filter. Dexter can tell there’s something wrong here. Even to me, the upside-down reservoir didn’t make much sense. Ah, yes, now the reservoir concept comes to life. I get it. 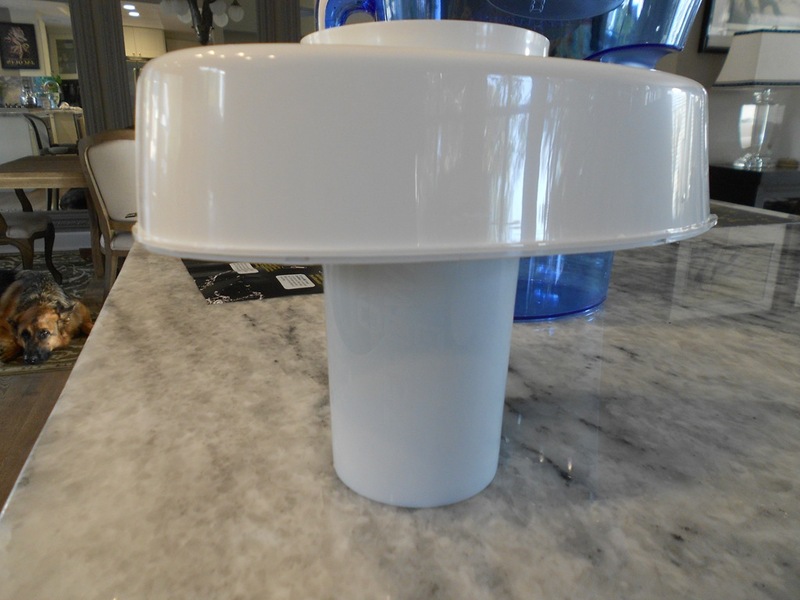 Once you get the pitcher together and filled with water, the fun begins and you can test the filtered water against your tap water. In my case, it wasn’t pretty. My tap water came out with a TDS reading that ranged between 423 and 452. That’s a fair amount of inorganic salts and possibly trace amounts of organic matter, but it’s normal for my area. Unfortunately, it also means I have hard water and that explains some of the deposits I notice in my coffee maker and other places. If you want to check the TDS in your area, go to ZeroWater and type in your zip code. The good news is that when I tested the water from the ZeroWater pitcher, it came out to “001,” which is essentially a zero reading within the guidelines provided by ZeroWater. Make sure you don’t place the tester in more than two inches of water. It’s not waterproof after that point. 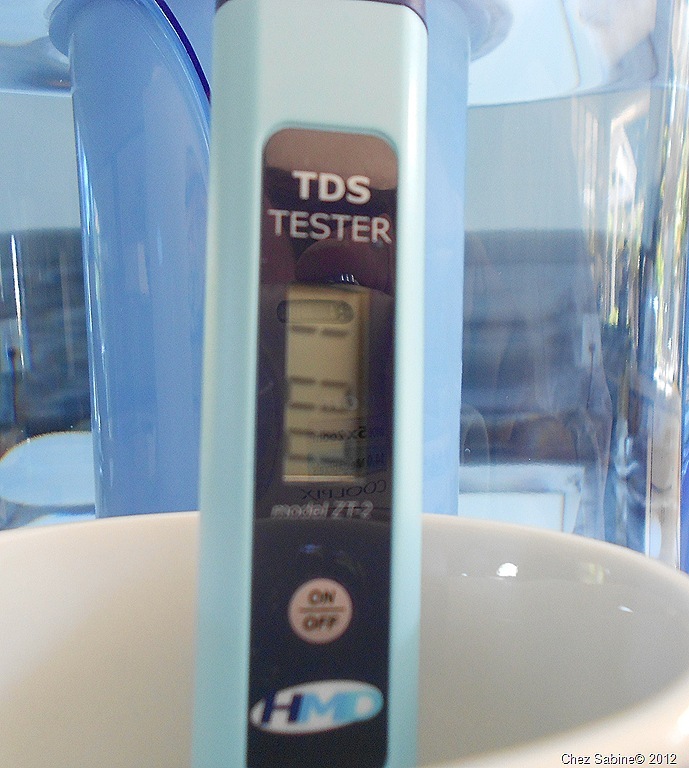 The TDS reading is dramatically lower in water that’s been filtered through ZeroWater, which means that it’s water I’ll be using for the coffee brewer, the iron and when I make iced teas and other beverages. 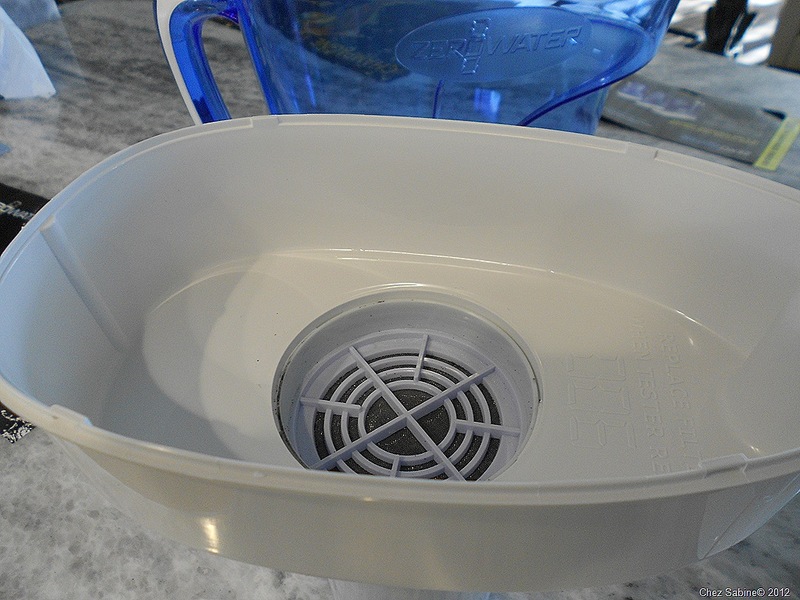 Bad news: Because the water has to pass through the filter, it takes about 15 minutes or so to fill the pitcher. It’s not a big deal as long as you plan for the delayed gratification. And if you’re like me and have a high TDS reading, then you can count on having to replace the filter far more often than those having a low reading. 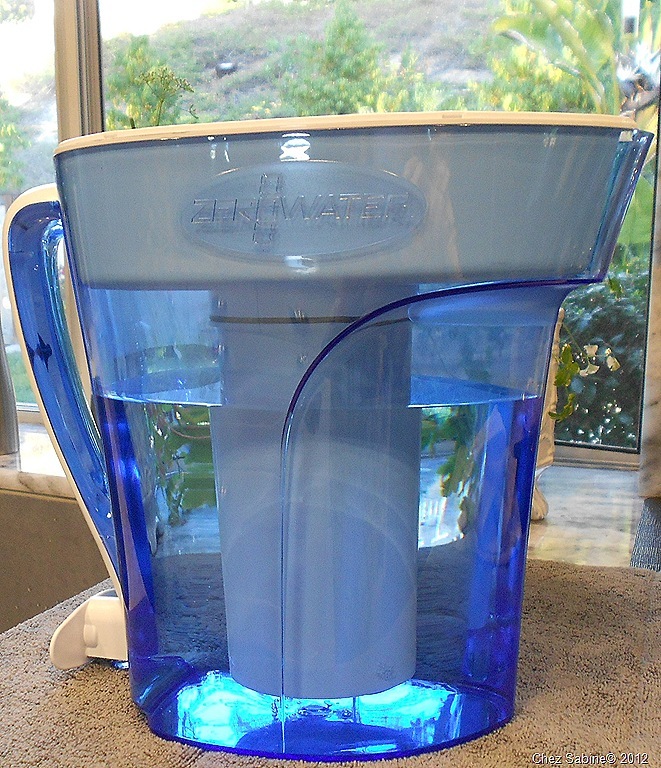 Last words: ZeroWater keeps the gunk out of my water and the clutter out of my space. Sign me up.